The good folks at the Midwest Digital Marketing Conference recently invited our Marketing Strategist, Bill Skowronski, to participate in a special Q&A chat on Twitter. They discussed industry best practices leading up to their Content Marketing Panel in St. Louis, April 17th. MDMC: Can you tell us more about @ideamktg and your role as a Marketing Strategist? Bill: We’re a Chicago web design agency with the same abilities and experienced staff as a full in-house marketing department. Clients choose us to build their strategy, deliver it across owned, earned, and paid channels and measure the results. I help companies move forward in a marketing maturity model by defining their goals, better understanding their target audience, creating a manageable plan for delivering the right message at the right time, and analyzing their data in order to continually improve. For those who are just getting started in marketing, what is #contentmarketing and why is it important? Content marketing is a long-term audience-centric approach that builds trust and brand authority by educating potential customers, helping them make more informed purchasing decisions or otherwise entertaining and engaging them. Content marketing has grown out of a need for companies to somehow influence decision makers who are doing more pre-purchase research than ever before and tuning out traditional advertising and sales tactics. Now that we have a better understanding of what #contentmarketing is, can you tell us who should do content marketing? B2B, B2C, Non-Profits? The short answer is, “Yes” to all industries (B2B, B2C, NPO). We have to remember content marketing is intended to help the audience, which is made up of individuals and groups of people who have challenges to solve, pain points to alleviate, or opportunities to pursue. So, whenever there are people with a decision to make–whether that’s buying a lawn mower, choosing a manufacturing partner, or selecting a nonprofit to serve, a content marketing approach can help them make a better-informed decision. That said, who it’s not for is companies in any industry who are desperate for a quick win, who aren’t willing to make a long-term commitment or confuse marketing with sales and advertising. They’ll be disappointed and quickly move onto another approach. If an organization is new to content marketing — where should they start? 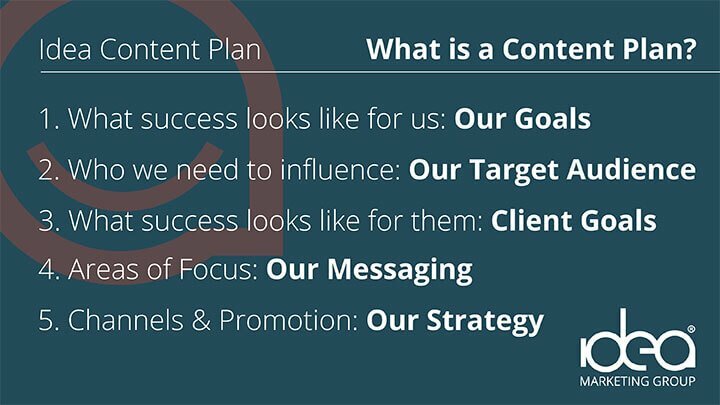 So now we have our plan, but what types of content are most effective? That’s a good question, but we know each audience is going to respond differently to specific types of content. That’s why it’s so important to focus less on what content you make and more on what that content makes possible for the people who find it. 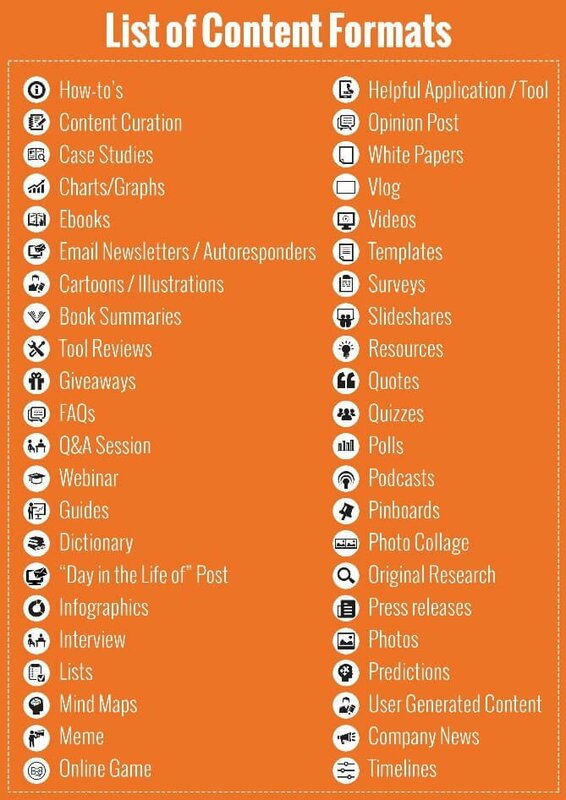 Here’s a great graphic from Hubspot that shows just how many options are available. So, quality content for a target audience over quantity of content? So, while it’s quality over quantity, how often should someone create content? Organizations have to take their available resources into account before determining what’s manageable long-term. For small staffs, it may feel daunting just to get one blog and one targeted email out each month. That’s ok. Consistency is the key. When we chase quantity or tie ourselves to short-term definitions of success, we inevitably settle for producing less quality content. More leads to busy. More mistakenly equates ROI with value. More is neither a goal nor a strategy. More is not sustainable. What should you measure to determine if a content marketing strategy is working? Remember that content marketing isn’t introducing new forms of communication that companies weren’t using before. So, you should measure your content marketing assets (blogs, white papers, webinars, podcasts) in terms of how they help reach your organization’s goals. If your goal is to better arm your sales team with data that indicates a customer’s level of interest in certain services or to gauge their readiness to make a purchase, you’d better be tracking, documenting, and measuring that. Whatever you measure, just remember that marketing is a fluid and cyclical process. Content marketing, in particular, is an on-going discipline, not a campaign. Measurement and the analysis that comes from that data isn’t the end of the conversation regarding whether or not marketing is working. It’s just the beginning. Can you give us a sneak peek into some of the content marketing questions your panel will cover at the Midwest Digital Marketing Conference? 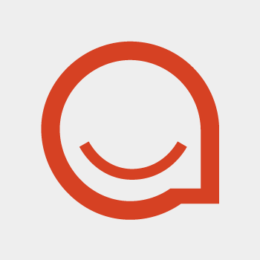 We just had a great phone call yesterday to discuss our approach to the content marketing panel at MDMC19. We’re going to share our experience in strategy, implementation, and measurement. We’re also leaving a lot of room for questions from the audience, so don’t be shy! I’m also really excited and genuinely honored to share the stage with Ryan Brock, Akshita Puram, Pat Crowe, and our fantastic moderator, Alex Menz. We’re almost at the end of the hour, so we will wrap things up with one last question. What speakers are you most excited to see while you are at MDMC19? Jenny Bristow is giving a presentation on Thursday morning about the true power of data for marketing leaders. I’m excited to hear how she suggests we use data to inform forward-thinking analysis. Honestly though, I’m most excited to see the attendees. Students, entry-level marketers, managers, understaffed organizations, etc. They’re the reason I’m presenting. They’re the people I’m most excited to meet. That is what makes MDMC special, how much all our amazing speakers want to share their knowledge! Thank you so much, @BillSkowronski, for joining us today for another #MDMC19 Twitter Chat! Make sure to see Bill on the Content Marketing Panel at MDMC in 2 weeks! You can get your ticket at www.bestmarketingconference.com. It’s almost as if MDMC19 was designed with a content marketing heart. See you in St. Louis!